Comfortable villa 8 pers. with beautiful pool area secure for children. 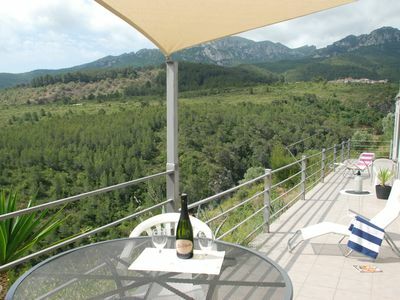 Large villa for 8 people.With superb views of the Granadella park and countryside. 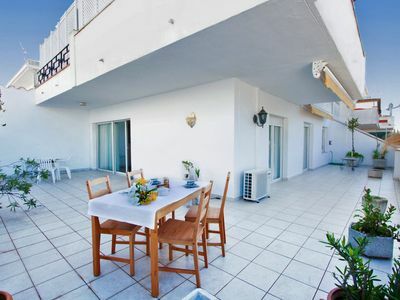 A Javea (June / July / August / September) this large and comfortable fully equipped villa for 8 people. 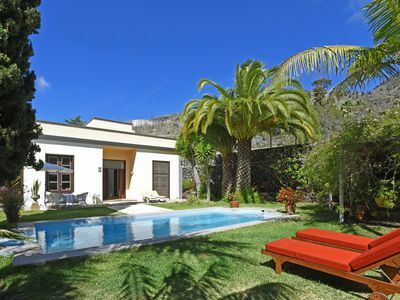 The Villa La Collina is in a quiet area of ​​Javea 10 minutes of golf. Magnificent views of the GRANADELLA Park. 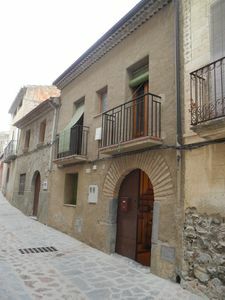 With an open southern exposure; the house of 200m2 is distributed over two floors. At 1st floor, a large dining room very bright living room with big screen TV and French satellite channels and WIFI throughout the house. From the dining room you have direct access to the garden and pool via an external staircase. A pretty small covered terrace (naya) with views of the pool welcomes you to take your first coffee of the day .. The master bedroom (double bed 1,60 m) private bathroom (shower & bath), and a 2nd bedroom with double bed and also the bathroom. 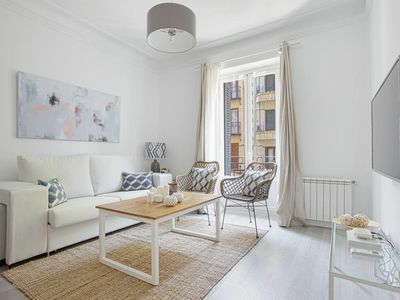 You will also find a beautiful fully equipped kitchen (ceramic hob, oven, microwave, dishwasher, fridge-freezer, coffee maker, kettle, blender, toaster and juicer ...) giving on a shady terrace. Laundry room with washing machine. At the pool level with a separate entrance, there are two bedrooms. One with a double and bathroom bed and the other with bunk beds. 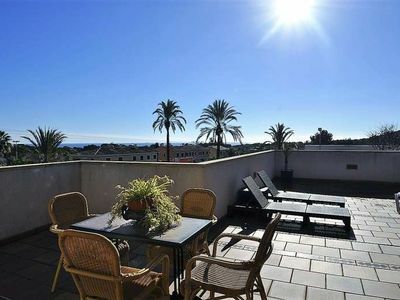 Large sun terrace with garden furniture all necessary, BBQ & swimming pool closed 8x4 .Terrain. Parking for 2 cars. 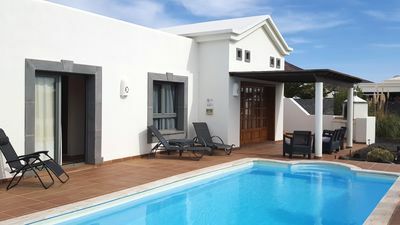 Rental includes regular maintenance of the pool and garden. Housekeeping and linens and towels are included in the price. Supermarket and bakery (Consum) is 5 minutes away by car. Arenal Beach in 10 minutes.